Over the past few years, Alarm Grid has carved out a niche for itself in the DIY alarm system category by offering a wide variety of wireless alarm equipment, a comprehensive library of installation videos and access to reasonably priced 3rd party monitoring. But, is that enough to compete in the home security industry? Might be too soon to tell…but, you be the judge. And don’t forget to share your experiences. An Alarm Grid Security summary and detailed reviews are followed by the customer Alarm Grid Reviews and a FAQ section in which we compare Alarm Grid with some of our top rated alarm companies. If you currently have an Alarm Grid Home Security system, we hope you will share your experience with our readers below. Prospective Alarm Grid buyer or actual Alarm Grid Security client? Considering securing your family members an Alarm Grid sources home alarm system? Or perhaps you have already become a client and are looking to write or read Alarm Grid reviews…. 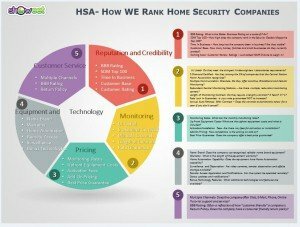 The Home Security Advisor is intended to be a complete resource to aid you in finding security solutions and make intelligent selections with regards to home security. Along with detailed research and summation critiques, we provide actual customer testimonials, side by side comparisons with recognized competitors, as well as answers to common questions …and strategies for preventing false alarms, methods to trim expenses on your insurance charges and even several other benefits of owning an Alarm Grid system. To assist you check out convenient table of contents, with “quick jump” hyperlinks to assist you navigate directly to the actual segments which are most vital in your research. Alarm Grid Customers. Share YOUR Experience. Leave a review, here. Customer Alarm Grid Reviews. OK for the Security and Tech Savvy-but higher up front costs and limited track record. See how Alarm Grid compares with the competition! Founded in July of 2012, Alarm Grid is a relative newcomer to the alarm industry. It was launched by Sterling Donnelly, after a few years working elsewhere in the industry, with the mission of creating a web-based, Do It Yourself alarm company that offers professional quality, name brand equipment, at reasonable prices without long term alarm monitoring contracts. Despite a relatively short track record Alarm Grid enjoys and A+ BBB rating. Unlike most alarm companies (other than SimpliSafe) Alarm Grid does not require a monthly monitoring service contract. 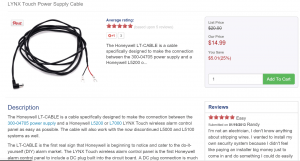 They offer their customers a number of month to month self monitored options, on Honeywell’s Total Connect interactive services platform- as well as professional monitoring services by Criticom- on a month to month basis, as well. Criticom offers 3 fully redundant, UL Listed, Five Diamond Certified monitoring stations, which provide 24/7 protection against intrusion, medical and personal safety, fire and environmental hazards. Alarm Grid offers a variety of monitoring options to fit virtually any budget and customer needs. There are 4 levels of monitoring for both self and professionally monitored packages. What is truly unique is the fact that there is no contract required for either self or professionally monitored systems. This is of course reflected in the equipment pricing. Price $10 / mo. $15 / mo. $25 / mo. $35 / mo. Price $15 / mo. $25 / mo. $35 / mo. $45 / mo. Bronze– The basic plan provides either landline or internet connectivity (broadband communication necessary for all self monitored systems). Self monitored enables e-mail notifications and phone alerts as well as basic arm and disarm remote capabilities…which are not available at this level in the professionally monitored system. Silver -This plan includes z-wave remote capabilities to control home automation features, and enables the basic interactive features on the professionally monitored systems, as well. Gold– This level enables cellular communication (which eliminates the possibility of defeating the system by cutting phone or cable lines) as well as video image notification transmissions taken by image sensors. Platinum– Includes Video Surveillance observation as well as limited video archiving capabilities. The equipment is manufactured and produced be either Honeywell or 2GIG. There is a 30 DayReturn policy, but after that Alarm Grid does not warranty the equipment-you have to deal with the equipment manufacturer, Honeywell or 2Gig. If you want a system with Cellular Back Up….that will cost you an additional $130…and you will get a cellular communicator chip added to you equipment package-that you will install and activate yourself. Alarm Grid is very much an a la carte ordering experience- where one needs to be significantly more security and tech savvy than most programs. The choices are endless and browsing the website is more like browsing a distributor catalog than a consumer oriented DIY home security site. If you don’t know the difference between a dual path security system and an internet security system….or feel comfortable with deciding whether you want a WiFi communicator or whether you need a GSM or CDMA communication module…this may not be the company for you. Want to plug in your system? Well, if you happen to have 18/2 cabling (that’s 18 guage wire with 2 conductors in a single wire) and can properly strip the wire and attach the necessary connectors…you should be fine. Otherwise you’ll need to shell out another $14, for a cable that will simplify the process…as described on their below. I think most DIYers want a system with a power cord that is ready to go…and just needs to be plugged in to a receptacle in the wall. Nevertheless…add on that LT Cable…and that brings a basic system with cellular back up to over $500 up front….before any add-ons! And Want a Yard Sign? Additional components are competitively priced with door contacts running $27-$33….and standard motions running $70. The equipment selection is almost overwhelming, with virtually every available piece of home security equipment available from Honeywell or 2GIG Technologies. Alarm Grid was conceived as a web based DIY home security company that gives homeowners an opportunity to create and install their own system with premium Honeywell and 2Gig equipment. They offer an extensive video library, detailed instruction manuals, a substantial Q+A library, e-mail support and one-on-one phone tech support to complete the installation. However, for those who are intimidated by a self-installed system, they do not offer optional professional installation. However, they do have an A+ BBB rating, and appear to be doing a great job of supporting and servicing the initial demand. With no contracts and a 30-day return policy…there is very little reason for complaints. Online customer testimonials are very positive…although this may be impacted somewhat by the fact that they offer a free month of monitoring for leaving a review. Alarm Grid offers month to month monitoring and a premium security solution… at a premium price. Equipment is DIY only and must be purchased separately from the monitoring..so upfront costs are significantly higher than most. A basic 3/1 (three doors and a motion sensor) security system with cellular monitoring will set one back over $500! While they do offer self monitored solutions as low as $10 a month…it quickly escalates to $35 a month if you want to be able to observe cameras. And a self monitored system will not notify the authorities in the event of an emergency. It requires you to be available 24/7 and be able to respond to any notifications or alerts and notify the authorities yourself. This can be an issue if you are out of range for cellular service, the phone is turned off, you are driving or in a meeting. The professional monitoring services are competitive…and many appreciate the fact that there is no long term commitment. They have an extensive equipment selection which includes both hard-wired and wireless home security equipment. This can be overwhelming to all but the more seasoned and tech savvy security enthusiast. If you are looking for premium equipment and know What you want…you will be OK. But, otherwise you will probably need to deal with an Alarm Grid agent to ensure that you get the right equipment to complete your installation. While Alarm Grid appears to have done an excellent job supporting the initial demand, they are an extremely young company, and have yet to be tested over the long haul or respond to major increases in market demand. They do, however, provide a reasonably good option for a security and tech savvy DIY’er, who doesn’t mind shelling out significant up front money. But if you aren’t comfortable with things like enrolling your own sensors, selecting and attaching communication modules and completing power and wiring connections…or you want to minimize up front costs, you will likely be better served by one of our more established top alarm companies . Alarmgrid is an authorized distributor for both Honewell security equipment and 2Gig Technologies. 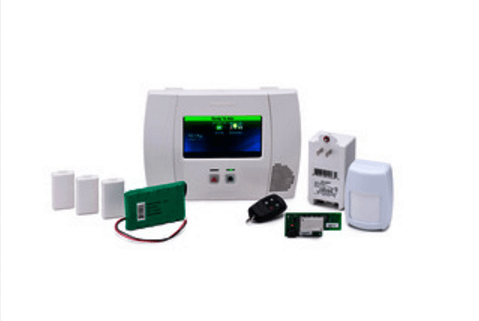 They offer the complete line up of both wireless and hard wired home security equipment from both of these top rated home security equipment manufacturers. 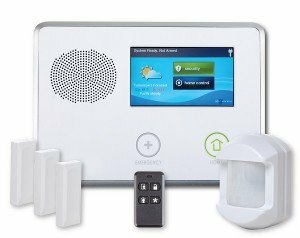 How does Alarm Grid Home Security compare with the top competition? Alarm Grid provides a premium equipment source with a wide array of video installations support- without any long term monitoring contract requirements. Consequently up front costs are significantly higher…and installation, programming and activation will likely require expertise and patience than the average DIYer is prepared for. Before committing hundreds of dollars in up front equipment costs, check out some of our top alarm companies in side by side comparisons, below. 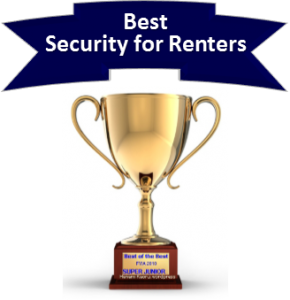 Both Alarm Grid and Frontpoint have A+ BBB ratings, but Frontpoint Security protects over 100,000 homes and small businesses and tops the majority of top rated security companies, year in and year out, by providing exceptional value and best in class customer service. Alarmgrid is more of a start-up operation, which might be a concern to some…. However, there is no debate that the upfront costs with Frontpoint will be considerably less. 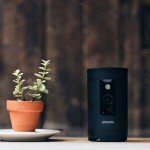 A $99 basic Frontpoint security system will run $3-500 with Alarm Grid, as they need to cover their equipment costs and make a small profit on the hardware. Alarm Grid does offer self-monitored options, which run a bit less…but, the professionally monitored prices are pretty comparable when you get into home automation and video monitoring. Additionally, Frontpoint has a much more refined and streamlined turnkey approach to the DIY alarm systems. The entire system is boxed, pre-programmed and shipped direct to your door…and all you have to do plug in the unit, mount the sensors and call to activate. With Alarmgrid, you need to make sure you order each component (including yard signs and power cables) and be prepared to enroll and program devices, activate the cellular service, install power cords etc…before calling to activate service. It is a much more hands-on process…which may turn off the less tech-savvy DIYers. If you feel comfortable with a smaller company that is new to the alarm industry and don’t mind spending more up front for Honeywell or 2Gig equipment…(and are a bit more tech-savvy than the average homeowner) Alarmgrid does offer some premium equipment and a variety of non-contracted monitoring options. 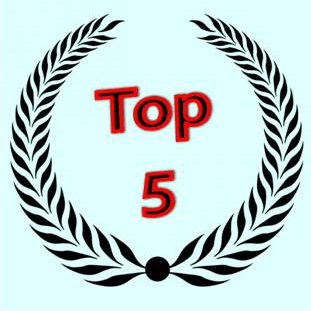 However, if you want to save on upfront costs and protect your home and family with a more trusted provider that has a proven track record of sustained excellence….check out our #1 pick – Frontpoint Security. While Alarm Grid is the new kid on the block…Protect America pioneered the DIY Alarm industry over 20 years ago. Consequently, they have it pretty much down to a science and lead the field by providing exceptional service to about 500,000 customers. Their Copper Package, powered by the reliable GE Simon XT has earned a Consumer’s Best Buy award for 5 years running- enabling Protect America to earn the #15 spot (or higher) on the SDM Top 100 during each of those years. While Alarm Grid offers greater equipment selection and a multitude of monitoring options, Protect America alarms have been at or near the top of the charts because they have eliminated the #1 concerns for most budget minded consumers- upfront costs. With their $0 upfront cost business model…they make quality security and home automation affordable for almost everyone. While even a basic alarm system will run $3-500 with Alarm Grid, Protect America includes up to $1400 in free alarm equipment in their Platinum Protection Plan…with no upfront costs. Just need a basic system? No problem…the Copper Plan starts at $0 down and $19.99 a month. And while Alarm Grid offers a 30-day warranty….Protect America stands behind the equipment and backs it with a Lifetime Warranty. If you are looking for all the bells and whistles that Honeywell and 2 Gig Technologies have to offer (or some of the advanced monitoring features that Alarm.com and Total Connect bring to the table)…and don’t mind getting more involved in the installation process…Alarm Grid is a viable option. But if you are looking to keep those upfront costs down and want the peace of mind of a more experienced company that offers a best price guarantee and a lifetime warranty….Protect America provides the best value. Link Interactive is another relative newcomer to the DIY alarm security system scene, but they are actually a division of Mountain Alarm …which has a 60-year track record in the traditional home security space. They too have earned an A+ BBB rating….and they have been doing it year in and year out, for a very long time. They keep upfront costs to a minimum, providing generous equipment subsidies, and their industry standard 3-year monitoring rates are extremely affordable….at just $29.99/mo. 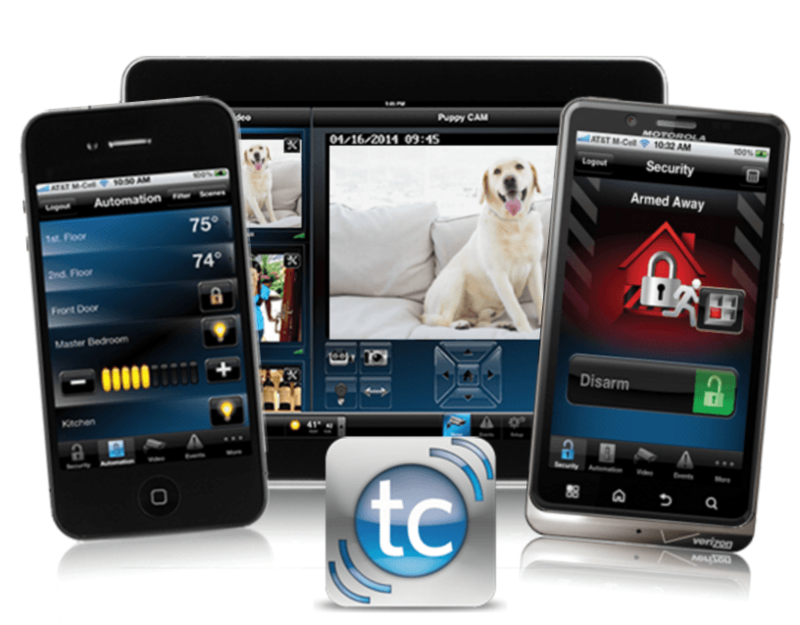 For full home automation and just $34.99 a month with video! Link Interactive provides the latest technology, outstanding customer service and 60+ years of experience installing systems and keeping customers happy! ADT has held the #1 position on the SDM Top 100 for more than 2 decades. They help protect more than 6 million homes and families in the US and Canada. While Alarm Grid has been in the home security business for just a few years…ADT has been in business for more than 140 years. Note: Armorax has undergone significant changes since this comparison was published….please visit Armorax Page for details. Unlike Alarm Grid’s dizzying array of equipment and monitoring options, Armorax pricing is simple and straight-forward. They start off by offering a premium system. The Armorax “basic” system is the GC2 by 2Gig Technologies. There are NO Shipping and No Activation fees. It is FREE with a 36-month monitoring agreement! And this system is not some base model that they will try to upsell you on. The 2Gig GC2 is a technological tour de force. With attractive aesthetics, it will be a proud addition to any wall or can be set up with a desk mount. The 2Gig Control panel incorporates Cellular, Wifi and Z-Wave technologies for home automation. All included, right out of the box so there are no expensive add-ons required. Armorax add-ons are competitive with our other top-rated DIY alarm companies…and everything comes with a full 3-year warranty! Alarm Grid pricing is the most complex of any company we have reviewed. They offer almost everything under the sun as far as equipment goes. None of the equipment is subsidized…so a basic cellular package will run around $350…or more. Consequently, the standard upfront costs are significantly higher. Alarm Grid offers 8 different monitoring packages basic professional cellular monitoring for $35/mo..and full interactive plans for $45/mo. This is where Armorax really separates themselves from the pack. They really keep it simple by offering one, all-encompassing, fully interactive, cellular security and home automation monitoring package for just $24.95! That is not a misprint…$24.95! And that is NOT an introductory price. That includes the Aromorax Rate Lock Guarantee! In addition to outstanding, full-featured monitoring for just $24.95, the Armorax Blackbox security systems feature the top rated 2Gig Technologies equipment. 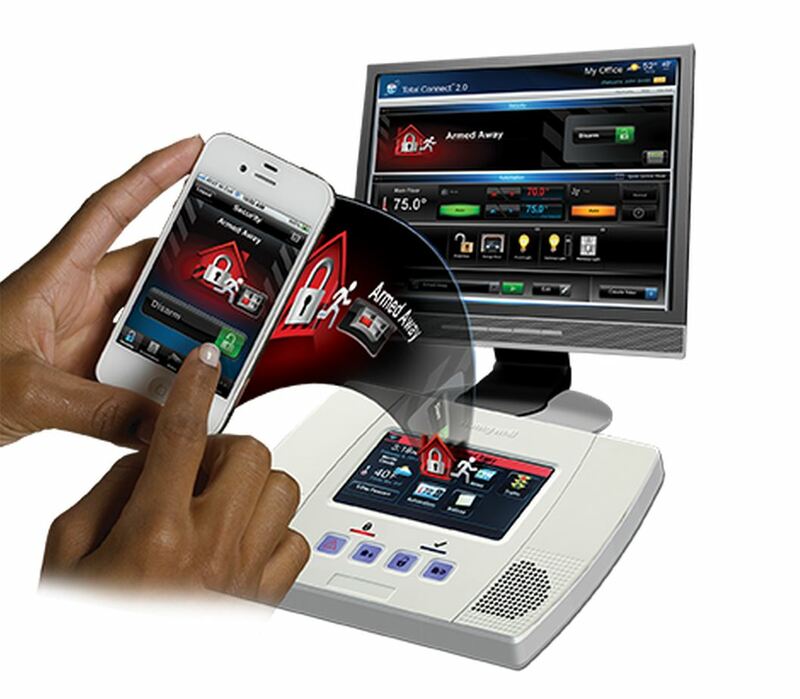 This system is FREE with a 3-year agreement with a comprehensive interactive cellular monitoring that is just $24.95! 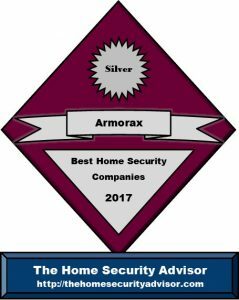 This top of the line GC2 system and low rates are just a couple of the many reasons that Armorax received our Silver Award as one of the TOP Home Security Companies of 2017. Compare that with the basic Alarm Grid Cellular Plan. To get the same level of monitoring features you have to step up to their top tier plan….which is $20 MORE per month with Alarm Grid. While Alarm Grid does offer more billing flexibility, they can’t compete with the Armorax monitoring rates. All for $20.00 a month LESS than the comparable Alarm Grid plan! Yes…you do have to authorize a 36-month agreement…but that rate is guaranteed as long as you stay with Armorax. Why would yo want to pay more? A professionally installed system by ADT Authorized Premier Provider – Protect Your Home includes the most reliable, state of the art equipment… professional installation by trained, experienced, background-checked technicians…. and monitoring by ADT – the most trusted name in the industry. 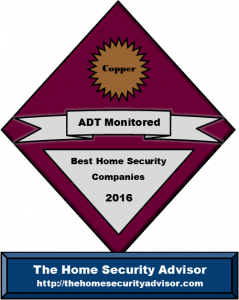 If you have any reservations about installing a home security system, you may want to take a few minutes to consider why ADT helps protect more homes and families than the next 10 competitors combined! Is it obligatory to obtain a burglar alarm permit to connect an Alarm Grid security system? In fact, you won’t need a permit in cases where the system is not professionally monitored. On the other hand, for the reason that your Alarm Grid home security system is going to be remotely watched with the purpose of employing emergency response providers, lots of local towns must have a permit. Generally speaking, this will involve standard registration with a hometown law enforcement or sheriff’s dept and some sort of minimal service fee. One will likely be required to produce the name, address and phone number of the Alarm Grid security alarm company, as well as the monitoring station, in cases where the two providers might be different. Where ever permits are expected, just about all municipalities will demand some sort of one-time fee to enroll an individual’s alarm system, even though some cities might need a yearly renewal additionally. When it comes to municipalities with high burglary and false alarm rates, failure to register can result in some sort of refusal to respond to locations which have no an alarm permit…although this really is pretty unusual. on the other hand, you could be subject to other sorts of charges whenever police, fire or perhaps emergency medical services might be sent to a home with no permit in cities where one is demanded. No matter if a license is actually procured, a large percentage of cities will most likely assess penalties with respect to numerous false alarms. The majority towns have got plans put in place wherein the first 1 or 2 dispatches may not involve fines. Subsequently, despite the fact that most Alarm Grid Reviews don’t mention it, penalties and fees typically escalate from $25-50 for that initial enforceable offense…to $100-200 for succeeding recurring infractions. Hence, it is vital that all alarm system customers call their neighborhood police department, determine what permits will be required, obtain a complete knowledge of the area policy and make certain that they consider taking the necessary ideas to forestall false alarms. Ways to help Prevent False Alarms from an Alarm Grid security system. As stated previously, false alarms caused by a security system may lead to pricey fees and penalties. Most Alarm Grid Reviews neglect to mention it, but the vast majority of dispatches are caused by false alarms That is why the majority of municipalities demand fines to residences when they go beyond a selected number of false alarms. Here are some recommendations for preventing a false alarm with your Alarm Grid system. • Be certain everybody knows the right way to disarm the home security system. Your home security system has a master passcode, as well as a number of supplemental end use codes which may be programmed into the system. Try to make certain everybody knows his or her code as well as learns how to disarm the home alarm system. • Make certain that everyone also is familiar with the security password. In case there is an alarm, the central monitoring station is going to in most cases contact the home first and request the password to make sure that that the individual replying to it is an authorized user. In the event that individual answering the phone call is unable to provide the exact security password, the police are going to be sent. • Make sure that windows and doors are completely shut prior to setting the system. A door that is not fully secured may very well be blown open in your absence and trigger the alarm. • Ensure that all detectors are set up securely and in the best places. Motion detectors should really be placed at a height of 6’ in areas that are well removed from fans, heaters, fireplace and air conditioners. • Be aware of things which could possibly trigger a motion detector. Pets are common problems as well as AC units that could cause fluttering draperies or plants…or even helium balloons which can be transported around the residence by air currents. Make sure they are strapped down removed from motions. • In a perfect world, your pets must really be limited to zones away from motion sensors. When that may not possible, Alarm Grid has “pet-friendly” or “pet immune” sensors which can screen out smaller sized pets under 40, 50 even 80 lbs. They can certainly help you set up the motions to provide pet alleys whereby pets might move freely about. Another choice is to make use of glass break detectors as an alternative for motion detectors. • Make certain you replace batteries when required. Alarm Grid security systems employ Lithium-Ion batteries which actually have at a minimum a two year anticipated life expectancy. Your Alarm Grid Total Connect App will typically inform you when the batteries are becoming low and continue to send alerts to you should there be less than approximately 1 month of functional life. It is advisable to have surplus batteries readily available and remove and replace them straight away. Your Alarm Grid system can even warn you about any other issues with sensors. Should you have a system error alert, conduct a status check and examine the sensor. Contact your service provider if it looks like it’s malfunctioning. Keep your customer manuals/codes/passwords in a reliable specified area in which they can be consulted if necessary. However, the easiest way to avert false alarms is to use your Alarm Grid system regularly and be sure everyone understands how to operate the system. Does an Alarm Grid system help save on insurance costs? That depends…mostly on whether or not you have your Alarm Grid system monitored. Insurance providers give you substantial price reductions if your residence is secured by a supervised security system. Alarm Grid reviews indicate that the amount one can save varies from business to business and the extent of the insurance coverage. Common discounts include 5-20% based on the kind of system and the level of services that are supplied. Be certain that the insurance company knows whether or not the system is supervised along with whether or not things such as fire, flood and freeze protection will be incorporated in your system. If you subscribe to monitoring services, , Alarm Grid should supply a certificate of installation describing the kinds of services for which your system is monitored. If you are trying to decide on a security provider for your family, we highly recommend a nationwide security alarm company. One doesn’t want to be bound to a long-term contract and then be relocated to an area outside of a local or regional companies’ service area. Alarm Grid reviews indicate that one of the strong points of Alarm Grid is that they will help you set and relocate your system (and the monitoring) anywhere in the country. However, Alarm Grid doesn’t subsidize the equipment, pre-program the entire system or extend the equipment warranty like some of our Top DIY Alarm Companies. Before committing a lot of upfront money to Alarm Grid equipment, , you may want to check out some alternatives in our best nationwide security system providers. Will Alarm Grid be simple to operate? Security systems have advanced dramatically in the past few years. And as a result one of the good things about innovations when it comes to technology is the fact that the companies that Alarm Grid represents place a great deal of concentration on simplifying the user interface. Almost all systems including Honeywell and 2 Gig Technologies utilize modern touchscreen user interfaces that are user-friendly and lead the user through tasks which include arming, disarming, bypassing zones etc..
Today most companies come with completely built-in interactive mobile applications, such as Total Connect and Alarm.com, equipped with home automation capabilities that allow you to manage the home from anywhere on the planet by using computer access. A good number of platforms are making use of speech control functionality by means of their own products, Google Home or Alexa. This can help you execute most common operations by simply delivering a speech command. Even though you will find Alarm Grid reviews which may suggest issues with installations, customer service or billing concerns, you will hardly ever see one that will complain that the Alarm Grid systems are hard to control. OFF — Even when your Alarm Grid system is turned off, many of the sensors are still active. Your system will still alert you if a door or window is opened. Environmental and life security systems (i.e. water or very low temperatures ) are still functional. Stay– You are able to arm just the perimeter protection at the doorways and windows by arming your alarm Grid system in the “stay” mode. Away– The away mode will trigger any interior motion detectors in addition to the doors and windows. Instant — You are able to eliminate the entry delay in your Alarm Grid system by arming it in an instant manner. If you’re already an Alarm Grid customer, please don’t hesitate to talk about your experiences in our section for Alarm Grid Reviews. How Much Time Will It Require for Alarm Grid to Respond to a break-in? Even though just about every service provider says it will feature the best response time in the business, it is important to recognize how to decipher these kinds of claims. Your Alarm Grid security system will likely ordinarily have a 30-60 second entry delay on your primary entry ways to be able to enable you a chance to disarm the security system. The Alarm Grid system, whether it is from 2GIg, Honeywell, or Interlogix, can typically be used on “Instant” function in the event that everyone is home. Typically the alarm goes off following any delay should the system is not disarmed. Alarm Grid uses a 3rd party monitoring service called Criticomm. Monitoring center response times are almost always calculated from the time that an alert is delivered to the moment the dispatcher calls the house to verify the signal. This period definitely should be inside a sixty seconds…and Criticomm boasts of sub 30 second response times. In cases where no person responds from the property, in most situations, they will endeavor to make contact with any individual on the emergency contact list …and they will send the police. Even though you might find Alarm Grid reviews involving higher than average response periods, the vast majority of the best security alarm companies can do a first rate job – so long as things are all functioning properly. Alarm Grid advises that the security system is tested out once a week or at least monthly schedule to guarantee that alarm along with communications are working effectively. Nationwide, the standard response period by the police is about 7 minutes, however, this could certainly vary significantly with regards to the specific location of your house, the type of the circumstance, whether there’s audio or perhaps on-line video confirmation and the existing demand and accessibility of nearby emergency assistance during the contact. Should you already posses Alarm Grid security and have information on their real life response times, don’t hesitate to to share your experience in our customer Alarm Grid Reviews. Thank you for visiting! Please feel free to share Alarm Grid Reviews, below or follow us, above. If you or someone you know has experience with Alarm Grid, we hope you will share that experience in our Customer Reviews.